Today is the first day of school and I managed to snap a few photos of Ella on her way to school. I'm hoping to catch Ema, my Senior, when school gets out this afternoon. I also managed to whip up some cute signs this year too! 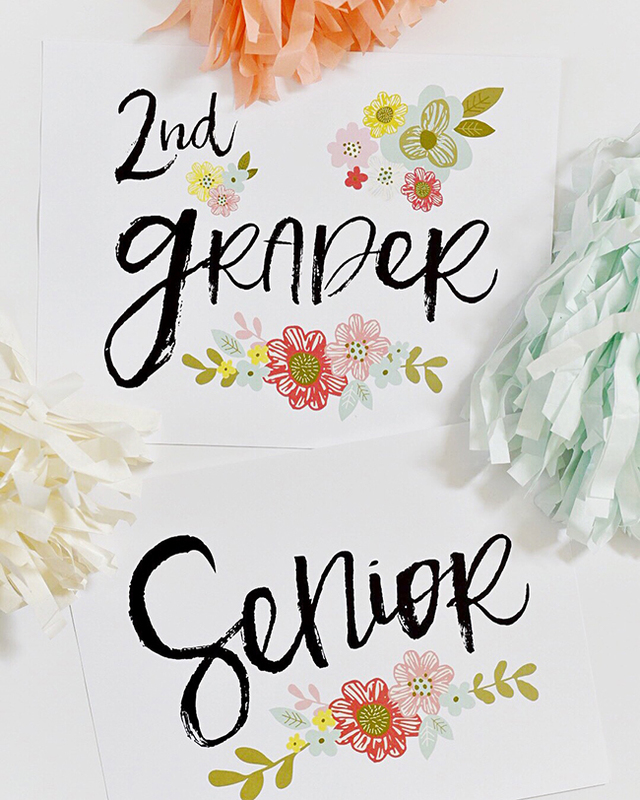 Right now I've just got "2nd grade" and "Senior" but if you need a flowery sign for your child's grade, leave a comment and I'll get it created for you right away. Why is the start of every school year such a struggle emotionally. I really just don't want my kids to grow up you guys. I know you all can totally relate. Raise your hand if you just want to keep them little enough to snuggle with...forever. Enjoy!! And thanks for being here!! 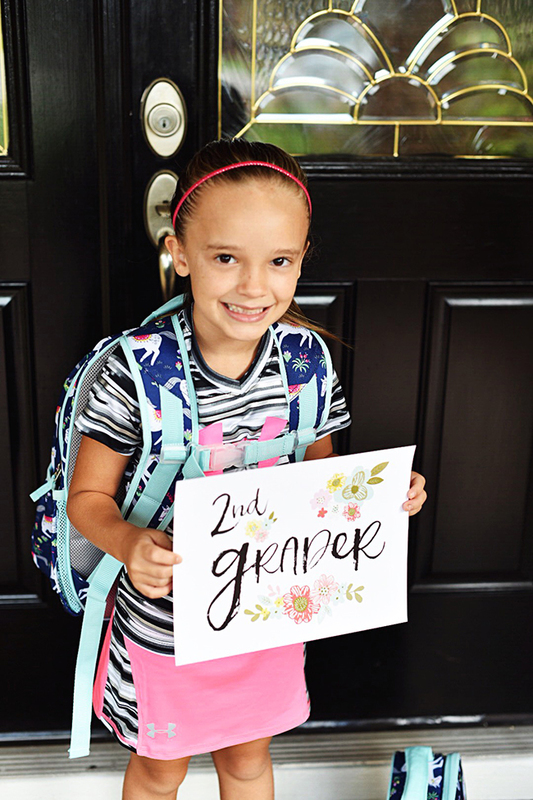 I just stumbled across your precious back to school signs and would love to have them for my girls this year! I noticed this post is from a year ago, so not even sure you would still do them...i know you are a busy mama! We homeschool, but I still love to get those first day pics for them to treasure one day! I have twins that will be in 6th grade and one that will be in 1st grade!Thanks so much for your time!